New Zealand skipper Kane Williamson Sunday said he was left heartbroken after realising his mistake of not opting for DRS when Ross Taylor was ruled LBW by the on-field umpire during the fifth ODI which India won by 35 runs in Wellington. 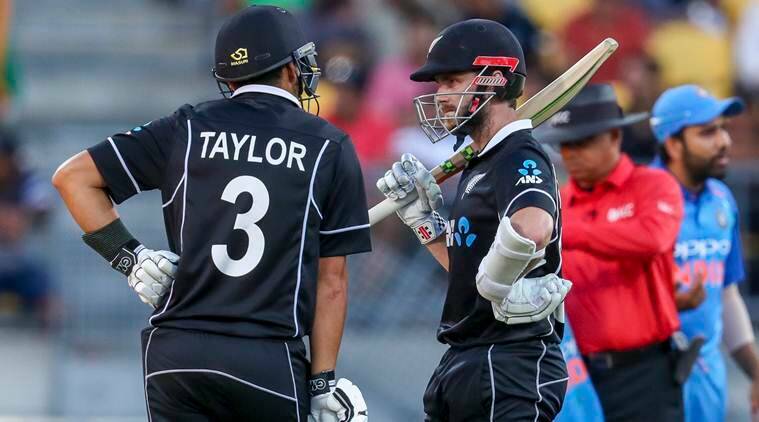 Taylor was trapped by Hardik Pandya in the 11th over, leaving New Zealand reeling at 38/3 while chasing 253 for a win. The ball seemed to have struck Taylor above the knee roll and the batsman walked off after a chat with his captain without taking a review. However, the replays showed the ball had clearly missed the stumps. “I heard about that not long after I got out which is extremely frustrating. We had a conversation and Ross has been batting absolutely beautifully so it breaks your heart when you realise you make a mistake like that through communication,” Williamson said at the post-match conference. The duo had 15 seconds to challenge the decision but with no indications from Williamson, Taylor walked back to the pavilion. “Yeah, he walked past me and asked, ‘what do you reckon, and maybe it’s too high, and maybe it’s umpire’s call,’ and unfortunately it’s one of those things that we move on (from),” Williamson said. All-rounder Jimmy Neesham also provided a horrendous moment for the hosts when he was dismissed in the 37th over. His freak run out, which was effected by the ever so sharp Mahendra Singh Dhoni from behind the stumps, came after a lbw appeal was turned down. “Um, yeah he was batting beautifully. Obviously he didn’t try and get out like that. It’s one of those things, it is a shame. As he was going so nicely there was that hope and that partnership with him and Santner,” Williamson said. Williamson credited the Indian bowling unit for maintaining the pressure on the hosts. Asked if his team grew complacent after getting Dhoni’s wicket, Williamson said, “We’ve seen throughout the series how good India are and you do need to be playing good cricket for a long time, not just a few dismissals.